Nice. Never Seen Rainey live, but Laubrock is mindblowing. The Roscoe Mtchell solo concert next friday has been cancelled. Is there anyone who would recommend catching any of the bands on the list? Our local fest has had a pretty sweet lineup the last few years despite being so small (Cloud Nothings, Dillinger Esc. Plan, Danny Brown, Of Montreal, etc.) but this year the lineup appears to be pretty weak. The only band I really wanted to see if Voivod but of course it's 19+ and I'm not turning 19 until December, so I'm SOL on that one. Hey! I've been there! Sounds like you've had some great line-ups as well I'm impressed. 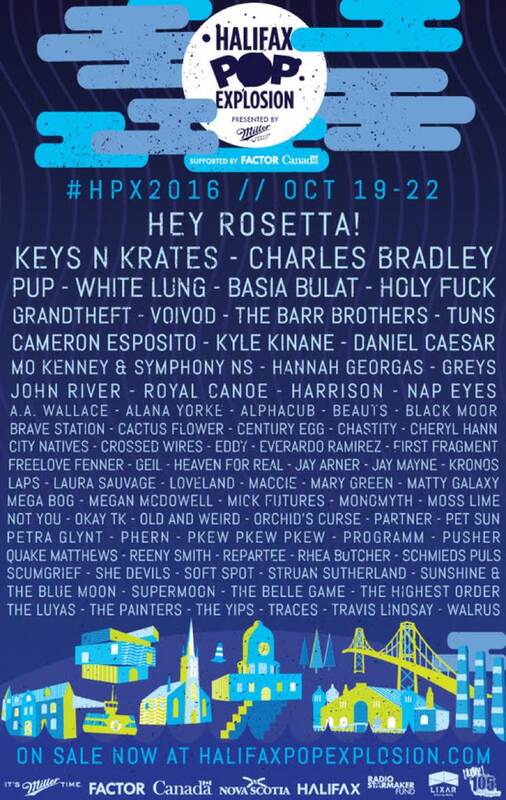 Not sure if "Hey Rosetta" is supposed to be Rosetta, but definitely see them if it is. As for the others... Pup, Holy ****, and Nap Eyes are good but I have no idea about any of the others. Maybe try looking up some of them. How much are tickets? No idea how much tickets are. I was thinking about catching Nap Eyes because I liked their last album and they're from the area, Holy **** would be a decent show too. Unsure about PUP just because they're doing a solo show here a month later and that would probably be better anyway. Still need to look into tickets, but I seem to remember them being pretty cheap last year. $100 for a bunch of no-names? Last night I went to a August Burns Red concert. The opening band, Make Them Suffer, wasn't that good. The second band, Silent Planet, was ****ing amazing! But they were super preachy, which just takes away from the music. Plus the lead singer was corny as hell. Third band, Erra, was generic Metalcore. They had one guy who screamed and one guy who sang. They guy who sang had such a high pitched voice that he sounded like he hadn't hit puberty yet. Then August Burns Red came on! And I have never seen a lead vocalist sweat so much in my life. His shirt was dry when he came out and Completely soaked by the time he left the stage. That said, the guy was so energetic and put so much into the performance that it was worth every penny.